Are you always trying to get to those tiny places to clean but your vacuum just can’t reach it? Well, look no further! 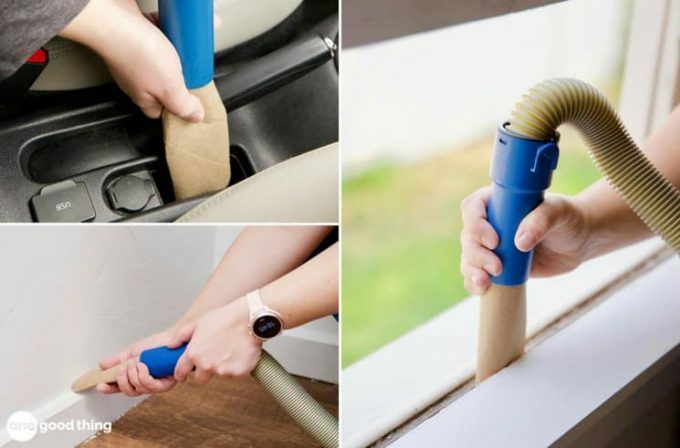 This Is the Most Brilliant Vacuum Hack You’ll See All Year from One Good Thing will show you have to make your very own DIY crevice tool. It’s narrow and flexible. The best part is you only need a cardboard tube from a roll of paper towels!